The movie 2.0 Hindi witnessed a jump in its box office collection on its day 3 as it was a Saturday, and successfully crossed the first milestone of Rs 50 crore mark at the domestic market. Rajinikanth and Akshay Kumar starrer 2.0 (Hindi) is having a good box office run, but its collection has been below expectations. The movie was expected to create a storm at the commercial circuits, but nothing of that sort happened. The Hindi version of 2.0 collected Rs 20.25 crore at the Indian box office on Thursday. It is certainly a big number considering the fact that it was a regular working day. It was expected that the earning would witness a hike on its second day, but it faced a dip on Friday. The sci-fi thriller had collected Rs18 crore on second day, taking its collection to Rs 38.25 crore. These are good numbers, but not to the expected mark as the hype around 2.0 was extremely high. Nonetheless, the movie finally enjoyed a jump in its business on day 3 as it was Saturday. 2.0 collected Rs 25 crore at the domestic market on its third day, taking its 3-days total collection over Rs 50 crore. The film is likely to maintain the momentum on Sunday as well. 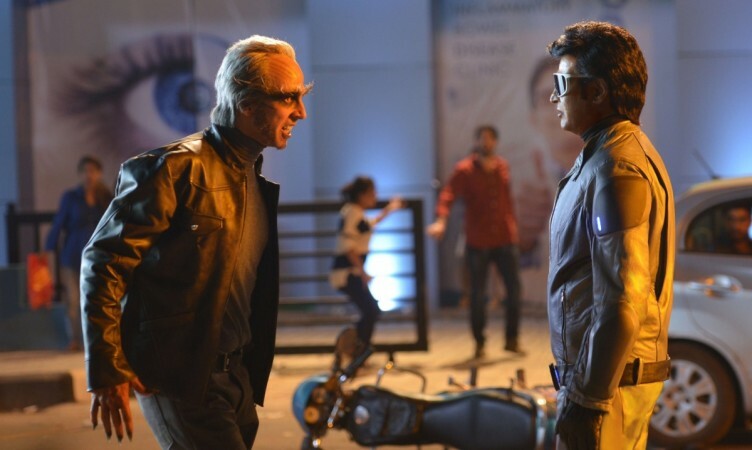 "#2Point0 jumps on Day 3 [Sat]... Growth on Day 3 [vis-à-vis Day 2]: 23.46%... Circuits that were performing okay/low have picked up... Day 4 [Sun] should witness further growth... Thu 20.25 cr, Fri 18 cr, Sat 25 cr. Total: ₹ 63.25 cr. India biz. Note: HINDI version," trade analyst Taran Adarsh tweeted. Made with a budget of over Rs 500 crore, 2.0 is the biggest Indian movie ever made. It also features two of the biggest superstars from South and North, Rajinikanth and Akshay Kumar respectively. Although the film has been doing well at the south belt, box office performance of the action thriller was expected to be better across the country. Directed by Shankar, 2.0 is a sequel of the popular film Robot that featured Rajinikanth and Aishwarya Rai Bachchan. The sequel added two new characters played by Akshay and Amy Jackson. The Khiladi actor played the role of antagonist.